Here's a two-fer with signs, an old version and the new. In the middle of Jingletown near the Park St. bridge from Alameda is El Potrillo 400 Restaurant and and Bar. El Potrillo is "the foal", as you might guess from the sign (though the icon makes me think horse or stallion.) 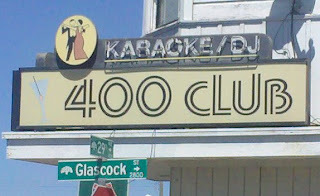 But not that long ago, the bar was called 400 Club. 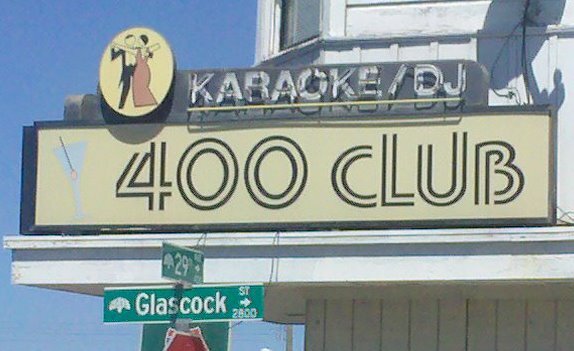 The 400 part of the name makes sense because it's at 400 29th Avenue. But why the name change? I haven't been to the bar, before or after the rename, so I can only speculate. Maybe 400 Club sounded too much like Pat Robertson's 700 Club? both of the signs are very cool. Old and not so old. It's a restaurant now also. Specializing in birria.